Richard Flanagan’s work, Gould’s Book of Fish, is, in all the best possible psychedelic manifestations, ‘a trip’. Like the effect that good drugs can have, this book takes you away; and how wonderful it is to feel as if you are sliding into an experience rather than reading a story. Of course, the horrendous reality that Flanagan is describing makes it all the more extraordinary. Tasmania, for white convicts, must have been a hellhole. So shifting Gould’s suffering into a phantasmagorical journey is not only a good idea but one that delivers the reader, somewhat safely, over very choppy waters. Unnerving? Yes. Pleasing? Well, certainly. But it’s the language that serves us most. 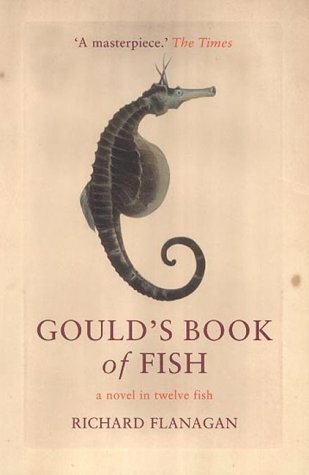 Gould’s Book of Fish is one of those musts.